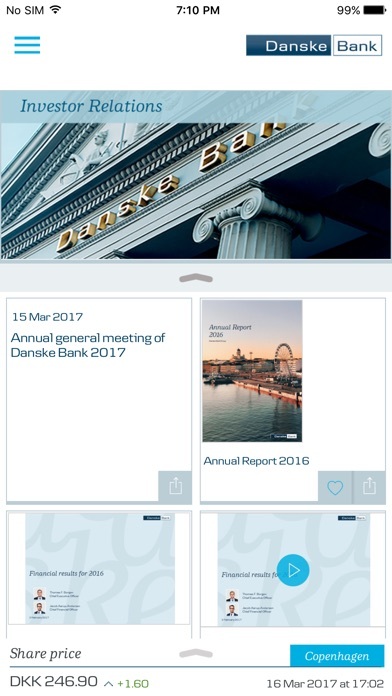 The Danske Bank Investor Relations app keeps you informed of the latest news from Danske Bank. 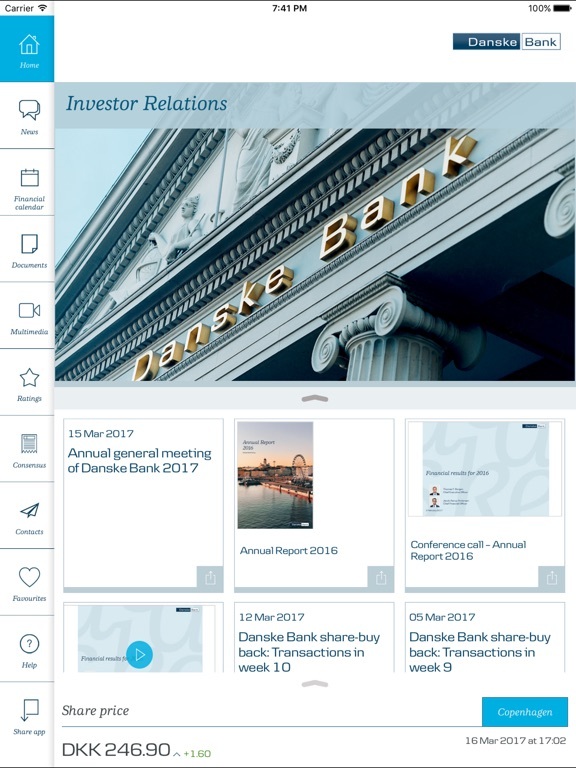 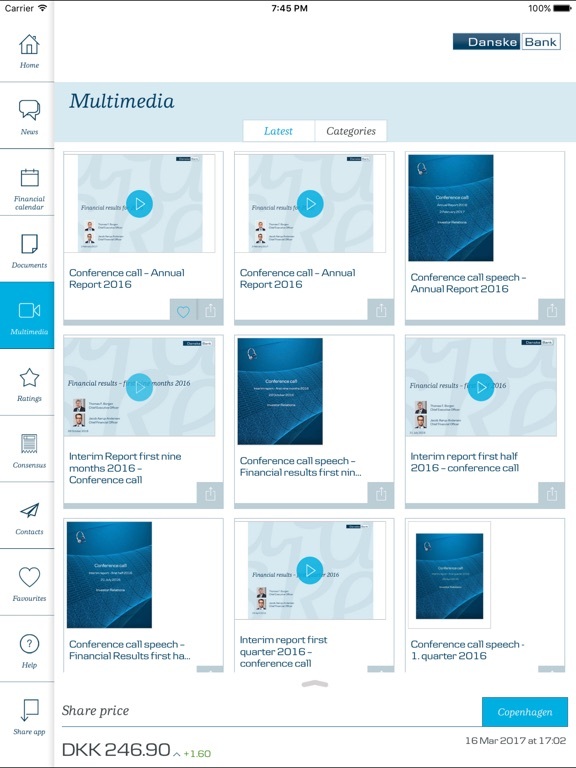 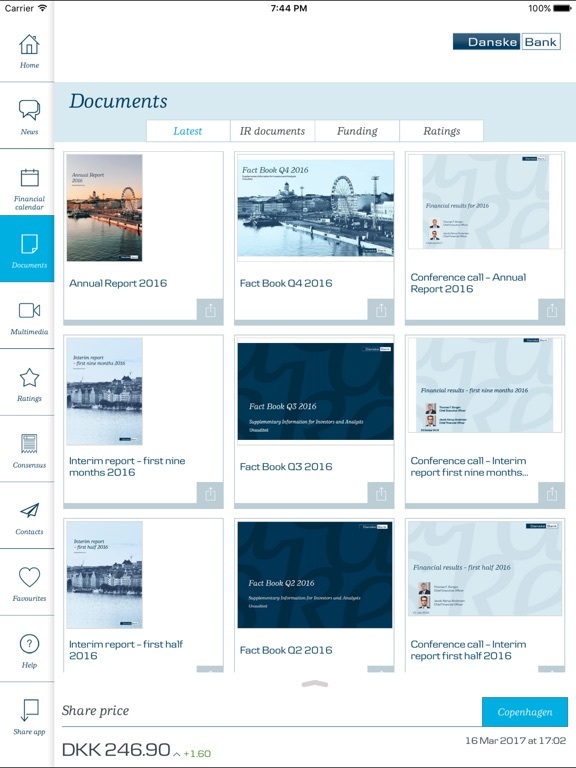 Inside the app, investors and analysts find a clear presentation of the latest investor and financial media information and all documents that are relevant for shareholders and other stakeholders. 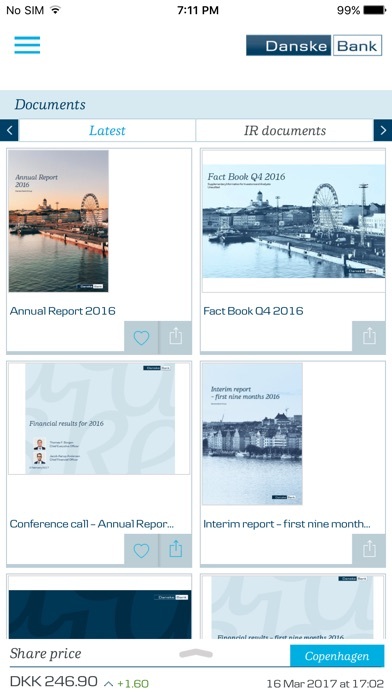 The App shows the latest share price and corporate news, and you can read annual reports and results announcements and listen to webcast.